As the next stage in the gradual resculpting of the Aeronef range, Brigade Models have released five new capital ships for the Austro-Hungarian Empire. Three of the models replace the existing battleship designs – the Erzherzog Ferdinand Max, Budapest and Szent István classes. 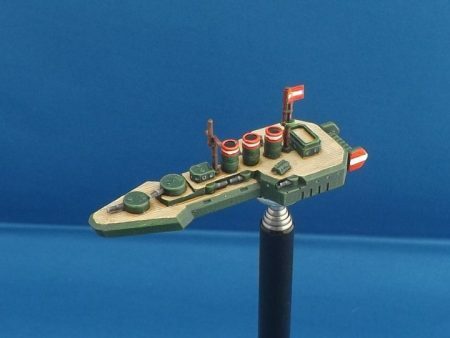 All have new resin hulls with the customary collection of metal fittings – turrets, masts, funnels and tails. 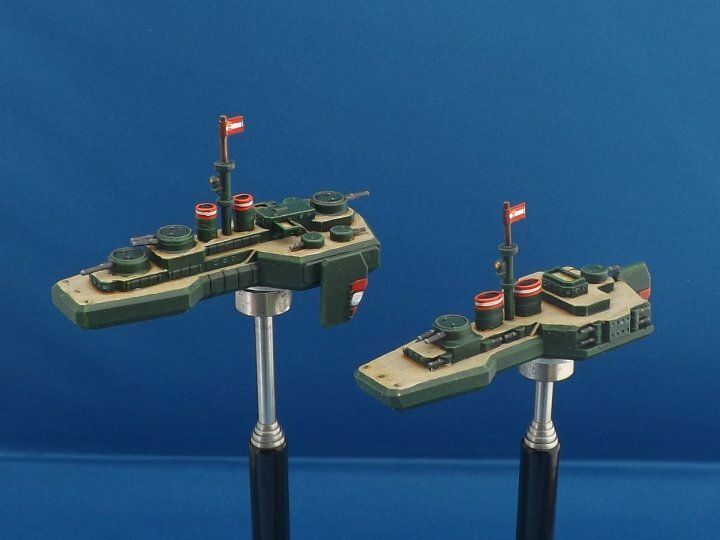 The two new models are the Viribus Unitas dreadnought, which may be familiar to more venerable Aeronef gamers – long ago I wrote an article on our website about converting a Ferdinand Max model to the Viribus Unitas class by extending the hull and adding to the armament. This version of the Viribus is similarly an extended Ferdinand with an extra main turret. 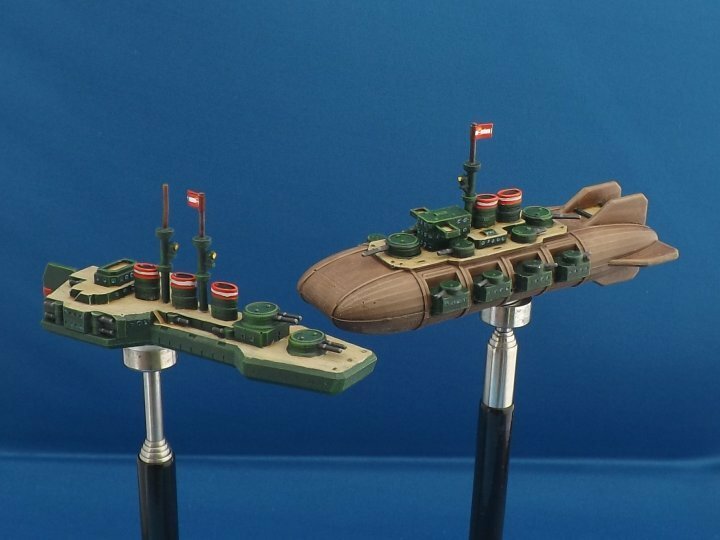 Finally, and largest of all, the Habsburg class utilises the semi-rigid dirigible hull of the Kaiserin class fighter carrier, but replaces the flight deck with a substantial mixed main battery, and the flank anti-fighter turrets are replaced by eight secondary gun turrets. 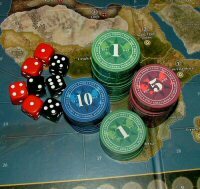 The three existing models are already in fleet packs, and we’ve created an extra fleet pack with a Habsburg and Viribus Unitas in, along with escorts. Although the older models are technically being retired, they’ll still be available to anyone who already has some and wants compatible models – just go to the page for the new versions and scroll down, then you’ll see a link allowing you to buy the old version.